Hi guys! 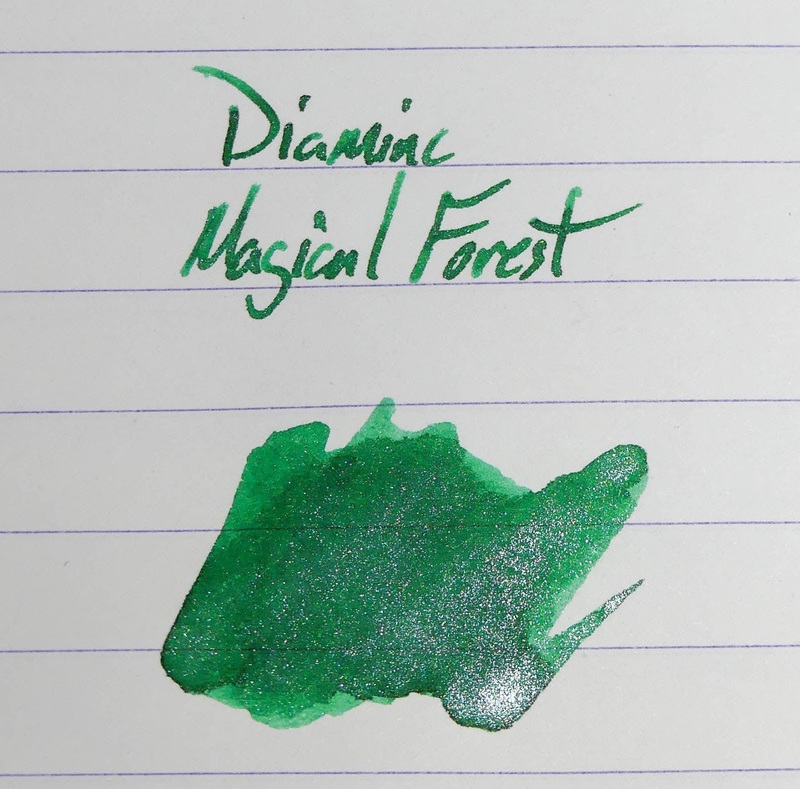 I'm finally back with another installment of Nibs & Nails, where I ask popular indie brands to dupe (or just be inspired by) fountain pen inks. 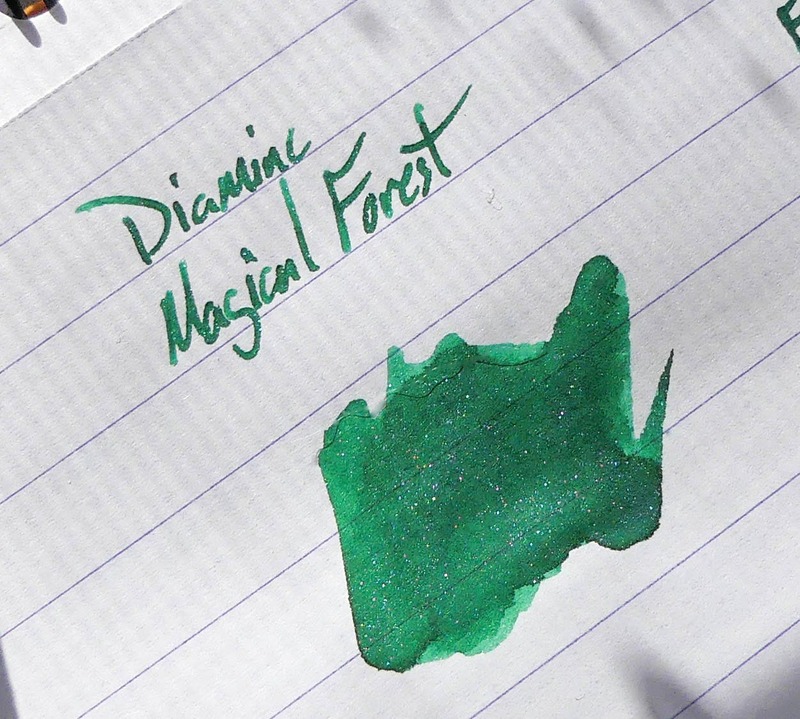 Tonight I have Rachel from Ever After Polish doing the Diamine Shimmertastic ink named Magical Forest. I've purchased Ever After Polishes in the past, and I have another color waiting in the queue. Stay tuned to the end of the post to win the polish featured tonight. As always, my husband has a fountain pen blog that will have an in-depth review of Magical Forest here. Most of the inks thus far have had gold sheen and shimmer, but I'm happy that Magical Forest breaks this mold with silver shimmer. The shimmer isn't quite as apparent in this ink compared to previous weeks, but it's still beautiful. 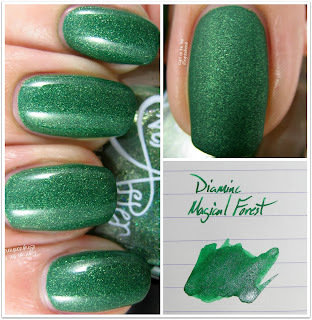 The base color of Forest Green matches really closely to Magical Forest, right? Good job, Rachel! The shimmer looks a bit more gold than silver, and I think there is a little bit of holo shimmer thrown in there as well. It's not a 100% exact dupe, but that's not always the point. The formula was smooth and pigmented in just 2 coats. Forest Green will not be released in the Ever After store, so definitely enter the giveaway to win this color. Also be sure to check out the Ever After store to see the other polishes and bath and body products available now. Would love to see Cupcake Polish next. I would love to see Polish My Life featured sometime! amazing indie! Fair Maiden, they make gorgeous polish. I really like Sassy Pants Polish and Pretty & Polished so seeing more of those two brands would be awesome! I'd love to see Baroness X or Octopus Party here! !